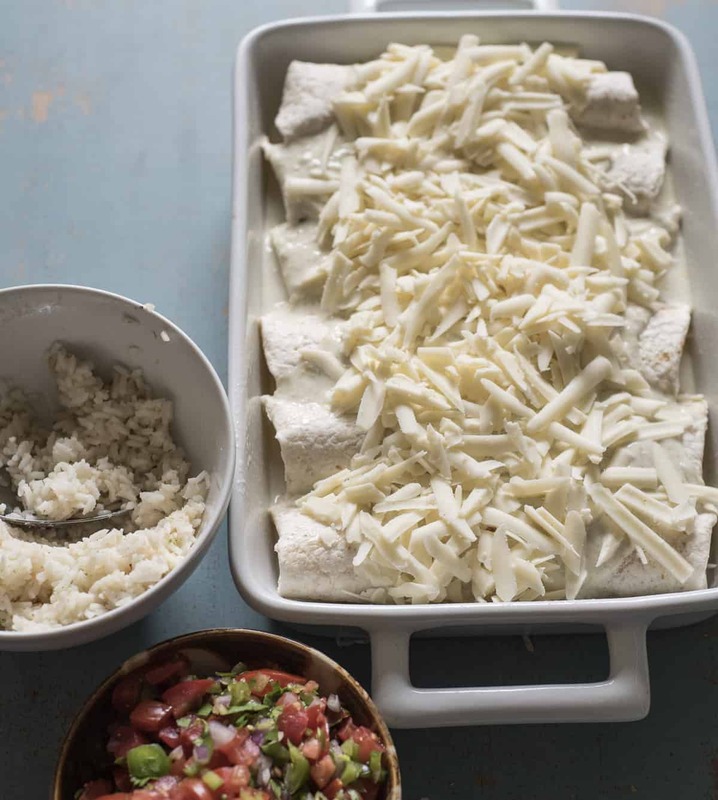 These chicken enchiladas are simple, family-friendly and made with only 7 ingredients! I’m always on the lookout for simple dinners that my whole family will eat, that don’t take a lot of ingredients or time to make, and have elements that can be made ahead of time. 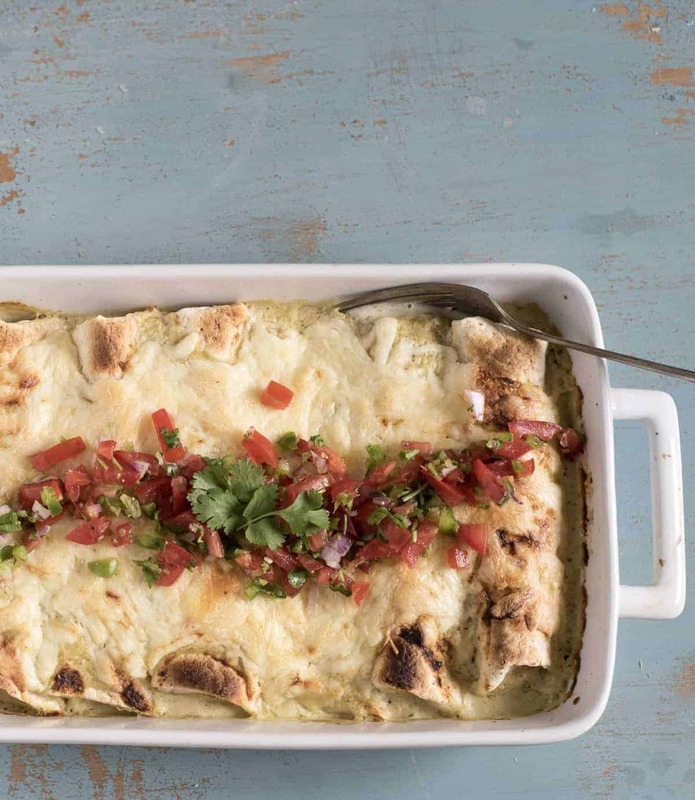 These easy chicken enchiladas hit all of those “ideal dinner goals” and I’m excited to share them with you. Chicken, rice, cheese, and tortillas are always a hit with my family. I like that I can prep the chicken ahead of time (you can actually make the rice in advance, too) or use a rotisserie chicken for this recipe which helps to cut down on prep right at dinner time. 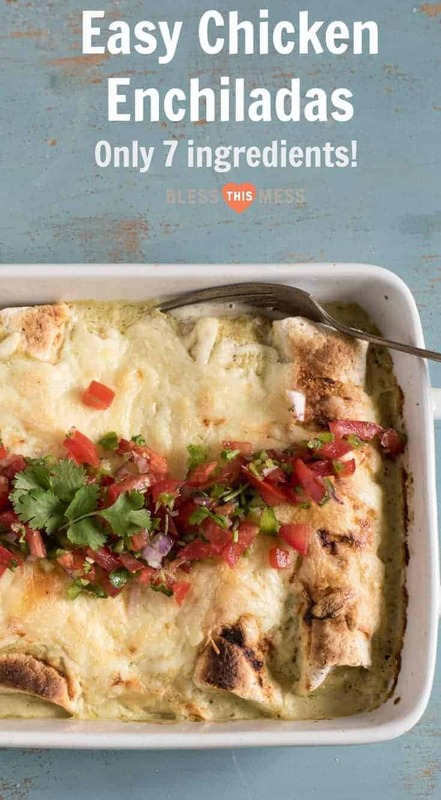 I also love that this dish is really easy. The sauce is made with green salsa mixed with sour cream. It’s flavorful, creamy, and easy. Throw it all together, stick it in the oven, and you’ll have dinner on the table in about 30 minutes. You can’t beat that! Be sure to read the label of the green salsa so that you know if it is mild, medium, or hot. I went with a medium green salsa and it was great. If your family doesn’t do spice, stick with a mild. 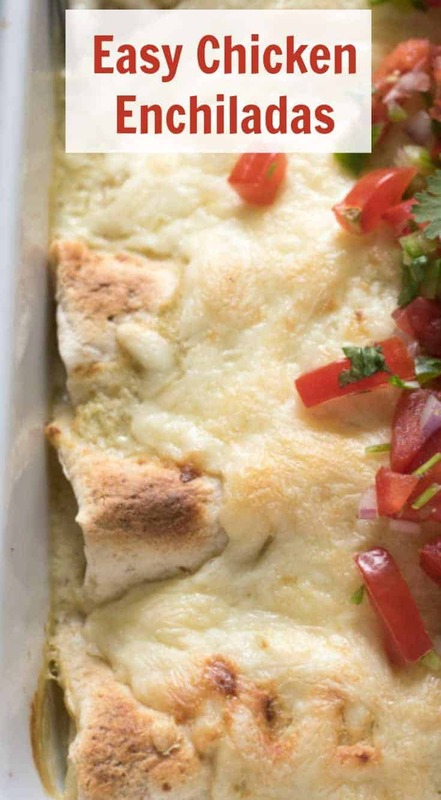 Use a full-fat sour cream for this recipe. A low or nonfat sour cream will curdle in the oven. It will still taste good but it doesn’t look great. Meal Prep Monday your jam? Make the chicken and rice ahead of time to make dinner time even easier. That pico de gallo is so easy to make. 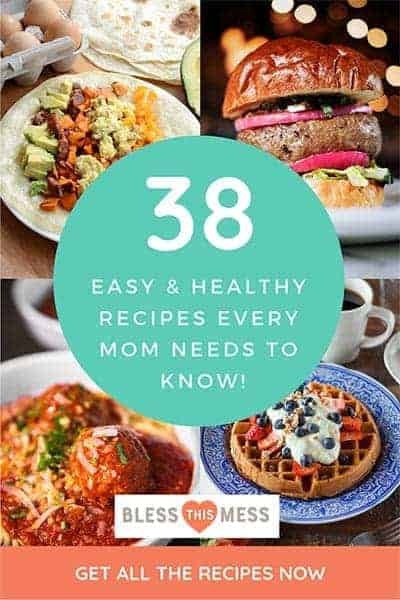 Do you need another little recipe in this post? Just mix chopped tomato, onion, and cilantro with come lime juice and salt + pepper. So easy. Want a little heat? Add a little minced jalapeno. This is a perfect simple recipe to master in the heat of the summer when tomatoes are so delicious and you are looking for more ways to use and eat them. Have you seen Pioneer Woman’s baking dishes? Chicken Enchiladas would be so cute in them. Seriously, I want all of the dishes she puts out. 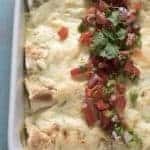 These 7 ingredient chicken enchiladas are simple, family-friendly and are always a hit in my house. 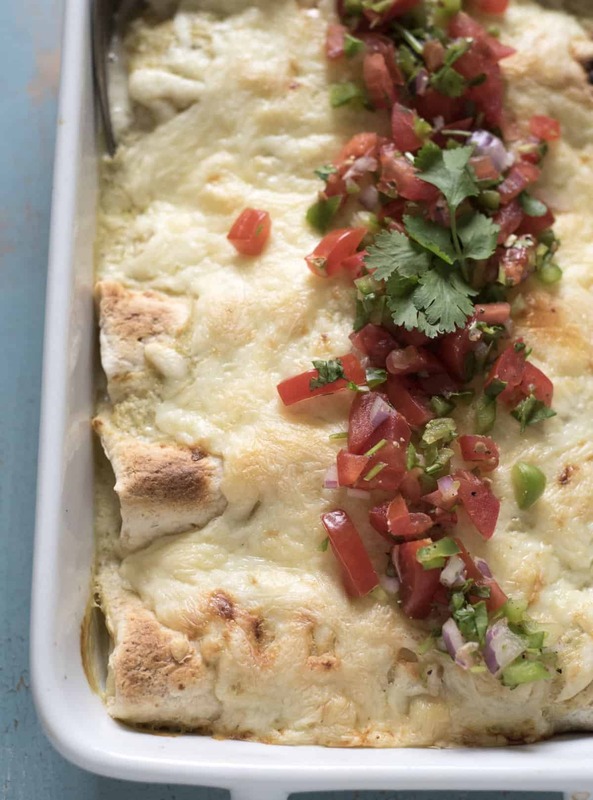 In a small bowl, combine the salsa verde and sour cream and whisk to combine. Add a small layer (about a 1/3 of a cup) of the salsa mixture to the bottom of a 9×13 inch baking dish. Working with one tortilla at a time, add 1/3 cup cooked chicken, 1/3 cup rice, and a tablespoon of shredded cheese. 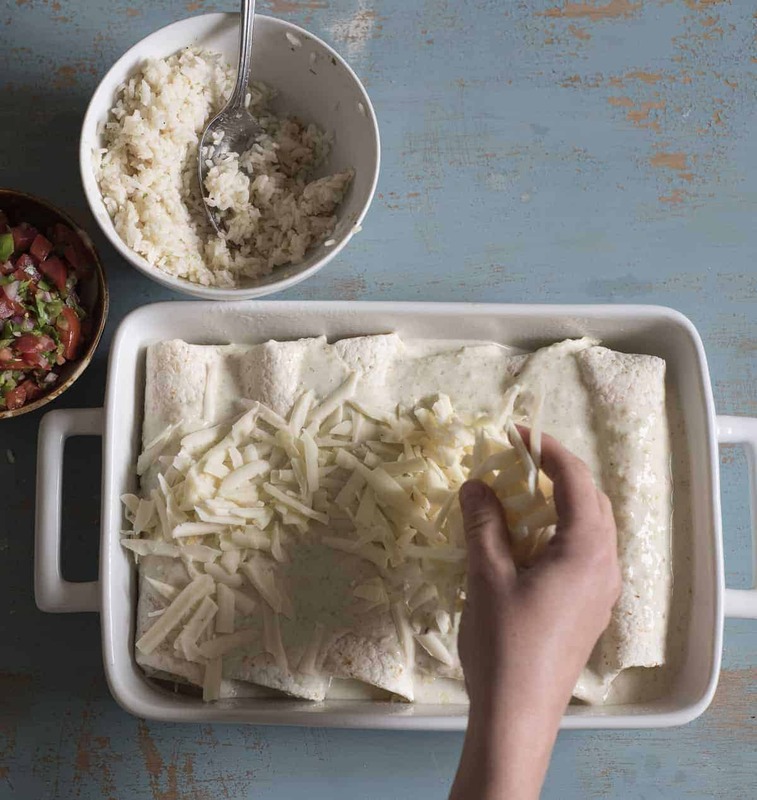 Roll up the burrito, tucking in the ends, and place it in the prepared baking dish. Add the rest of the salsa mixture to the top of the burritos in the pan and then cover with the remaining cheese. Bake until the cheese is bubbly and starting to brown and everything is heated through, about 25 minutes. Serve hot with pico de gallo on top. The chicken recipe that I linked to is great and has lots of flavor. If you are using something like leftover rotisserie chicken or chicken cooked in bulk, you’ll want to add salt, garlic powder, and some cumin to taste. To make garlic lime rice, add 1 cup of rice, 2 cups of water, zest of one lime, juice of one lime, and 1/2 teaspoon each of garlic powder, salt, and cumin to a small sauce pan. Bring to a boil, cover, reduce heat, and simmer until the rice is cooked, about 20 minutes. Easy! Spanish Rice that you make in the rice cooker (you can use brown rice in that recipe just FYI). These look so simple and so darn good! Perfect weeknight dinner. Pinned! These look fantastic! 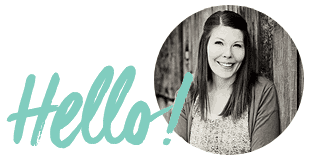 Your site is so amazing that I just had to sign up to get your email!